and industrial impulse sealer and vacuum sealer applications! 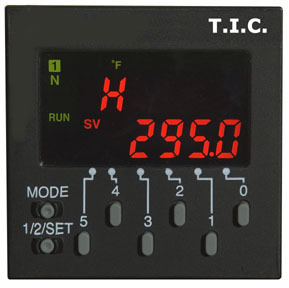 ALINESYS.com is proud to provide an incomparable line of PLC/TOUCH-SCREEN temperature control units for all thermal impulse heat sealing applications. Each seal is repeatable and guaranteed to be air tight and watertight. Our trademarked PreciseSeal TM process is proven accurate to within one degree of set point regardless of temperature setting! 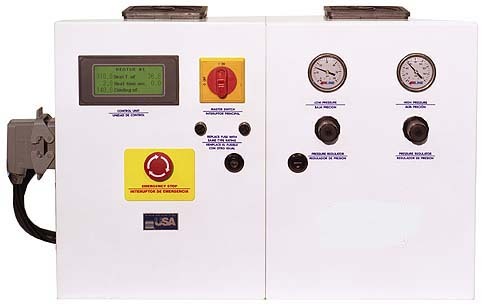 Every Aline temperature controller is ideal for new machinery or for previously built impulse sealers and perfectly suited for medical or pharmaceutical use where FDA/NIST certificates of calibration are required. Additional heat sealing applications for the Aline temperature controller line include form-fill & seal, vacuum, bag making and bag sealing. Aline also provides components such as transformers, seal bars, heating elements and pneumatic packages. The Aline PLC can easily be integrated to operate with a signal from your current PLC, Master controller or other method of activation. Calibration screen for all settings.